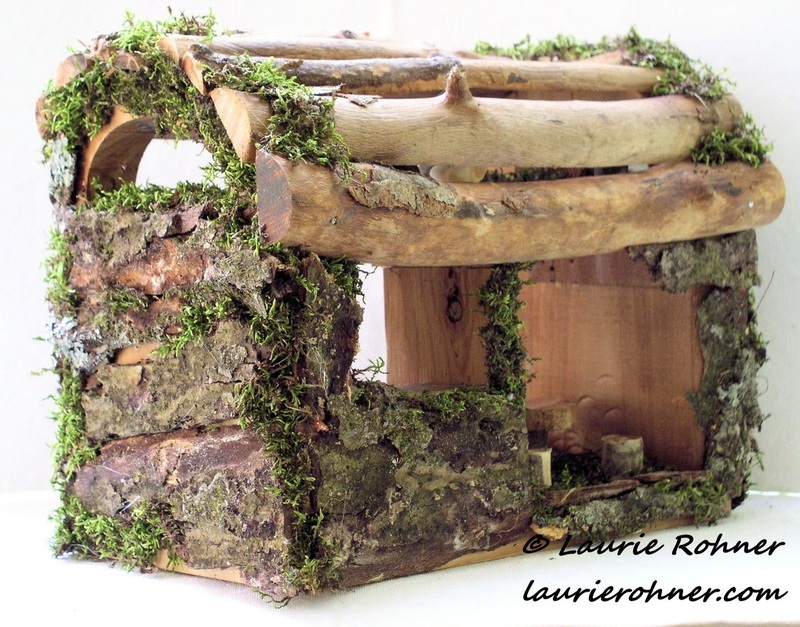 Woodland Moss Fairy House Hand Sculpted Garden Cottage with Fairy Furniture by Laurie Rohner. 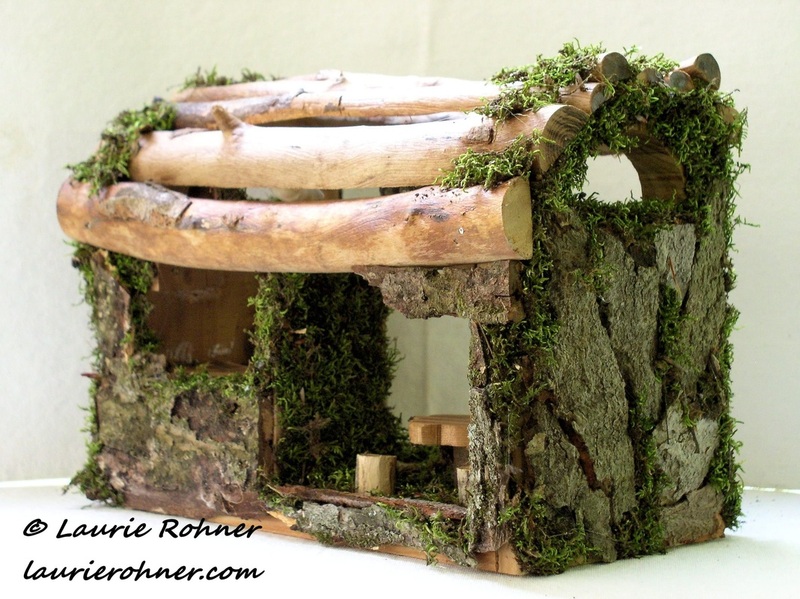 SOLD Garden moss fairy house is custom made woodland cottage enchanted with moss twigs and branches. Hand sculpted woodland fairy house for a garden or cottage. 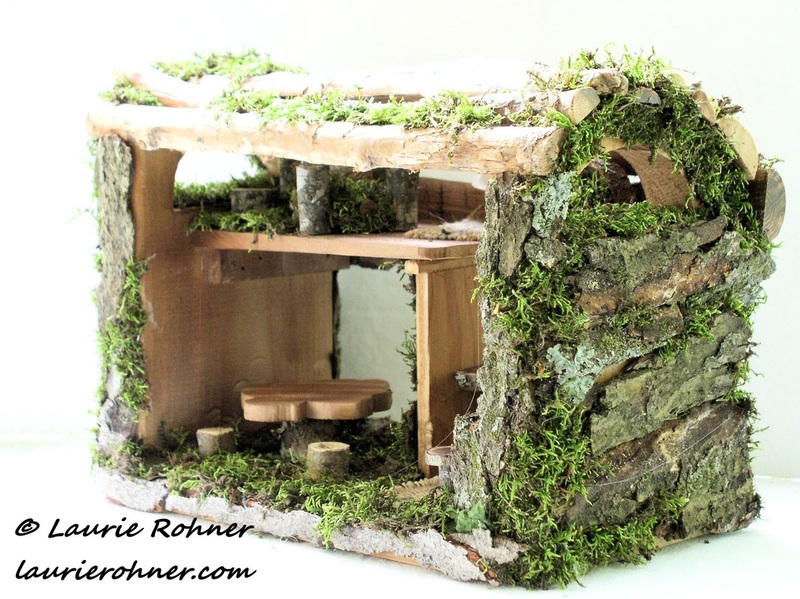 My woodland garden fairy house comes furnished with custom fairy sized woodland furniture. Once upon a time fairies created this fairy house for your garden or cottage. Woodland Fairies were delighted with what the fairies created. Think of the happy joyful energy that will surround your home and your life when you add this fairy cottage to your house. Moss, bark and branches make up the structure but you also get a kitchen with a hand sawed wood counter and to the side another counter with stools tucked under.There is a wall dividing the ding area and the kitchen. In the dining area is a flower shaped wood handcrafted table and 4 stools for everyone to gather around. 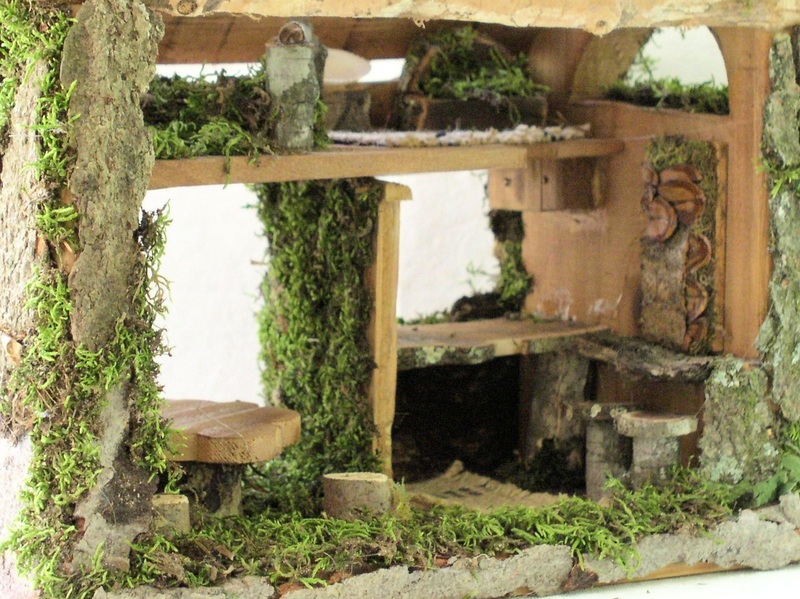 But wait there is also a loft with a hand made fairy moss bed, a side table, another side table and a chair. A woven rug is up in the loft and in the kitchen. There is an eyebrow window upstairs. You even have a wonderful nature art piece over the counter too.This cottage fairy house is ready for your touches to make it very special and personal. Delight for all ages. Note: All my houses are blessed by a fairy.